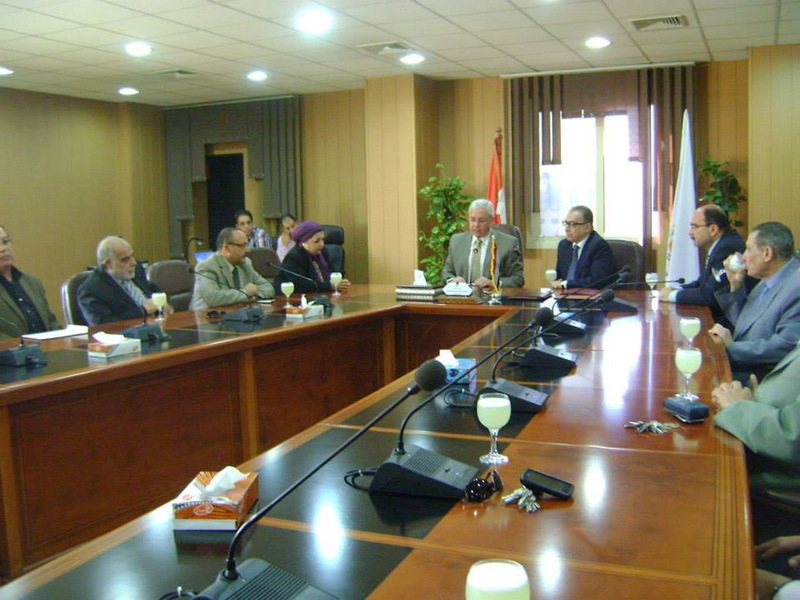 , and The Delta Compnay for Fertilizers and Chemical Industries Represented by Eng. 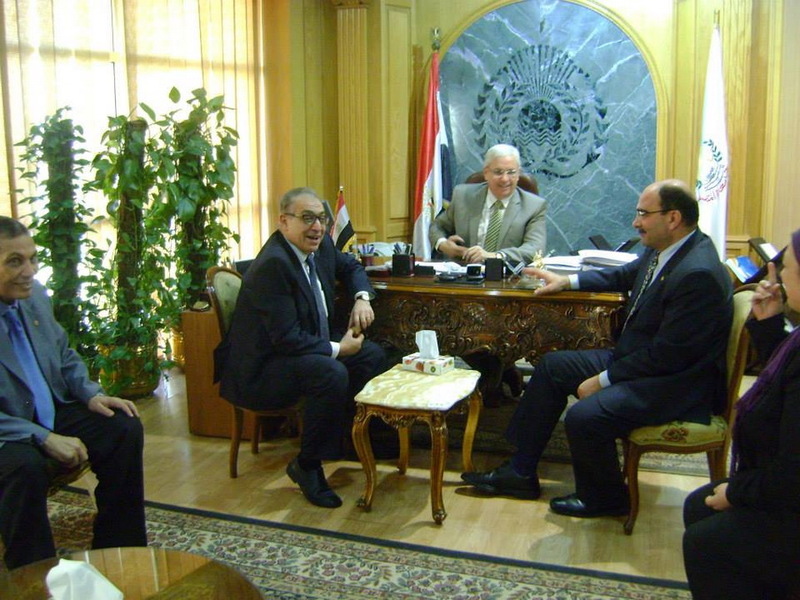 Mohammed Abdel hameed Nasser, Head of the Board of Directors . 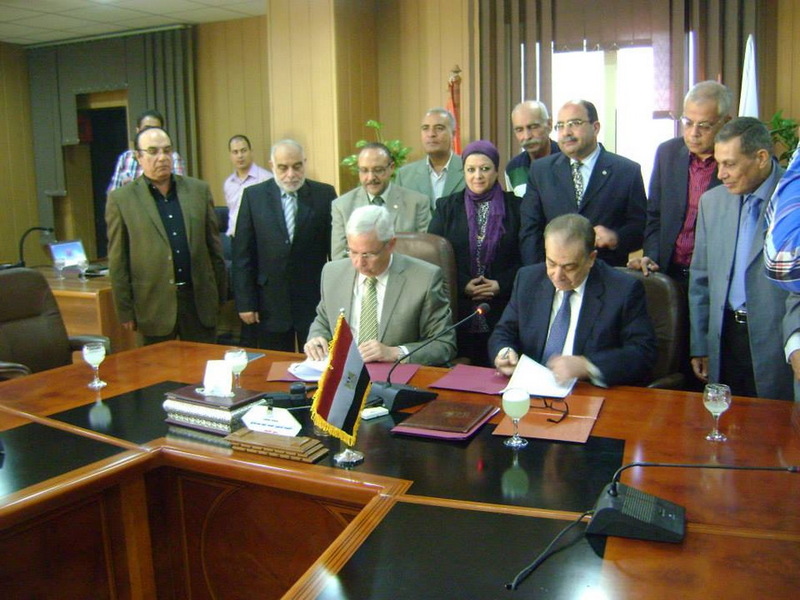 The contract aims at offering a consultation service for the Delta Company by the university regarding the evaluation of the environmental effect on the nitric acid production unit at the company to help replace the unit with another environment- friendly one to reduce the harmful effect on the community and the environment. 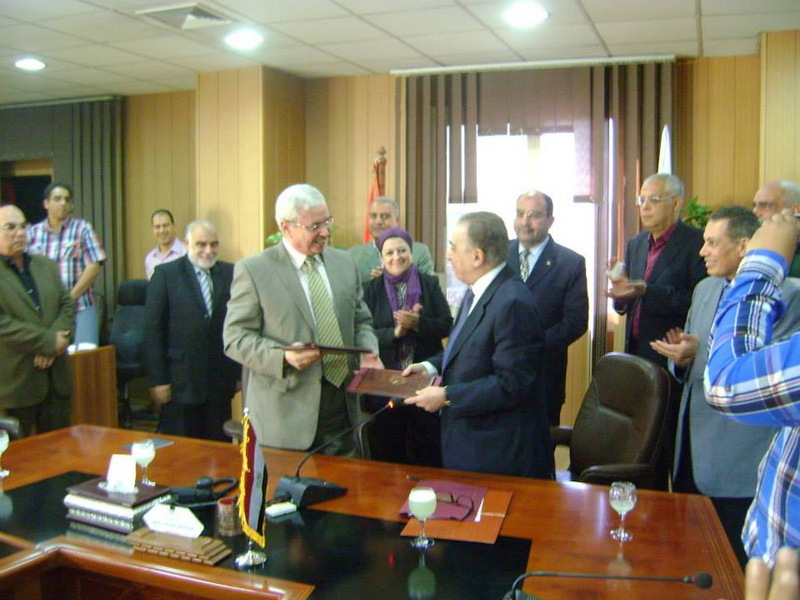 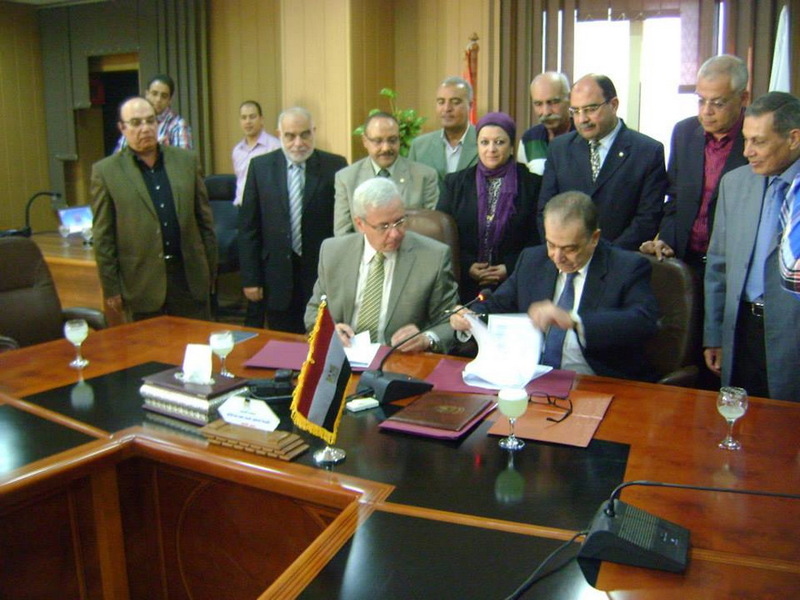 The ceremony of contract signing was witnessed by Prof. Mahmoud Mohammed Elmeliegy, Mansoura University Vice – President for Community Service and Environment Development Affairs and Center Deputy Director, University Vice- Presidents, University Secretary General , University professors and Delta Company senior staff.